A10 Networks, a provider of intelligent and automated cybersecurity solutions, today announced a major Japanese mobile carrier has selected the A10 Thunder Convergent Firewall (CFW) Gi/SGi firewall solution for their 5G pilot network, to complement the massive capacity demands of their existing mobile network and help lay the foundation for the mobile carrier’s 5G production network, expected to become commercially available beginning in 2020. A10 Networks has enjoyed a long-standing relationship with this customer, who has previously deployed our solutions to deliver a variety of security and networking services, such as application delivery, IPv4 preservation/IPv6 migration technologies, DDoS protection and Threat Intelligence. A10’s expanded relationship includes the Thunder CFW Gi/SGi firewall 5G-GiLAN solution to scale and secure its GiLAN, and which will serve as the backbone network for data communication services of the carrier’s 5G network. "We continue to work very closely with global carriers to enable them to lead the way with their 5G rollouts. 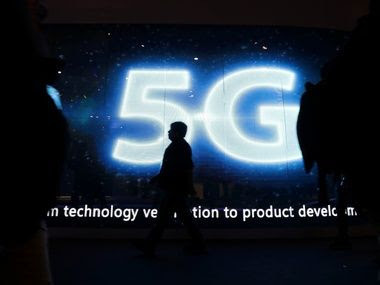 This is demonstrating our trusted partnership and continued leadership to help carriers accelerate network transformation to 5G," said Lee Chen, CEO of A10 Networks. “The A10 Thunder CFW provides service providers with a highly scalable, consolidated and secure 5G-GiLAN solution for a comprehensive network defense, with automation for improved business agility, faster network rollout and overall reduction of TCO". GiLAN Consolidation - Consolidates GiFW, CGNAT, application visibility and intelligent traffic steering to increase operational efficiency and better security on the GiLAN. Application Visibility & Control - DPI-based L7 application visibility for effective policy enforcement and control provides enhanced Law Enforcement Agency (LEA) support and compliance. Intelligent Traffic Steering - Subscriber-aware traffic steering to enhance new business models with differentiated service offerings for new revenue streams. GPRS Tunneling Protocol (GTP) Support - GTP Firewall with granular SCTP filtering defends the mobile core against GTP-based attacks initiated from RAN or GRX/IPX networks. Accelerates Adoption of SDN/NFV - Achieve on-demand capacity with versatile software options (PNFs, VNFs, Containers and Bare Metal) across SDN/NFV environments. Supports A10 FlexPool subscription-based capacity pooling licensing model for flexible consumption. A10 Thunder CFW provides a consolidated and secure 5G-GiLAN solution for an effective defense against attacks by delivering comprehensive mobile core infrastructure protection. Thunder CFW also helps customers achieve superior levels of performance, scalability and visibility, along with exceptionally high firewall connection rates in a compact form factor.